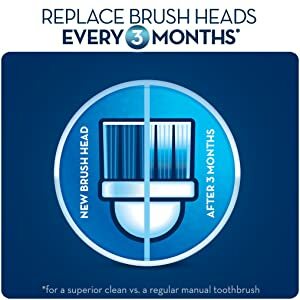 Choosing the right toothbrush can make a difference for the health of your whole mouth. That’s why Oral-B, one of the world leaders in toothbrushes*, offers a variety of electric toothbrush heads to fit your specific needs. 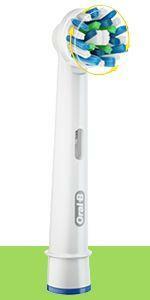 So make the right choice and choose Oral-B, the #1 dentist recommended* and used toothbrush brand, worldwide*. Answer: Dental professionals recommend replacing your toothbrush every 3-4 months or earlier, if the bristles become spread out or frayed. 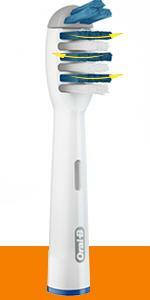 When bristles are worn out, cleaning effectiveness decreases. 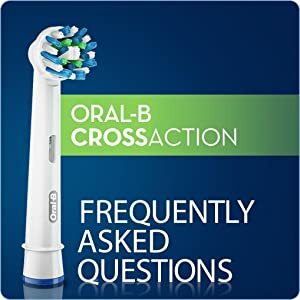 Question: What’s the difference between CrossAction and other Oral-B electric toothbrush heads? 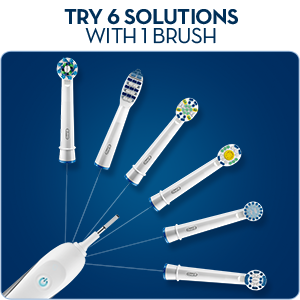 Answer: Each Oral-B electric toothbrush head focuses on a slightly different type of cleaning. 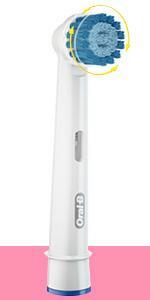 CrossAction features precisely angled bristles to lift and remove more plaque than a regular manual toothbrush. 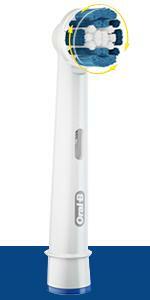 Precision Clean is designed for precision cleaning and more plaque removal along the gumline than a regular manual toothbrush. 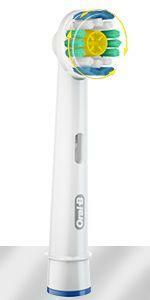 TriZone bristles sweep side to side to power away plaque and allows you to brush as you would with a manual toothbrush. 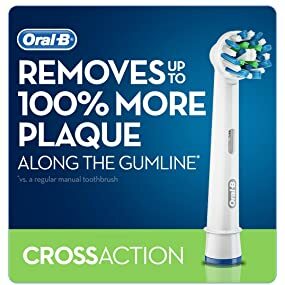 The Floss Action brush head has MicroPulse bristles that penetrate deep between teeth to sweep away plaque for a floss-like clean (does not replace flossing). 3DWhite features a dentist-inspired polishing cup to remove surface stains. Sensitive offers gentle, yet effective, cleaning. 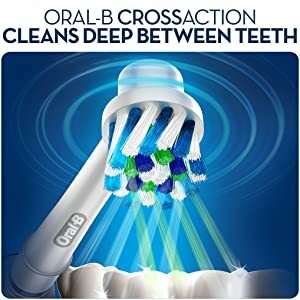 Question: Which electric toothbrush handles are compatible with the CrossAction brush head? 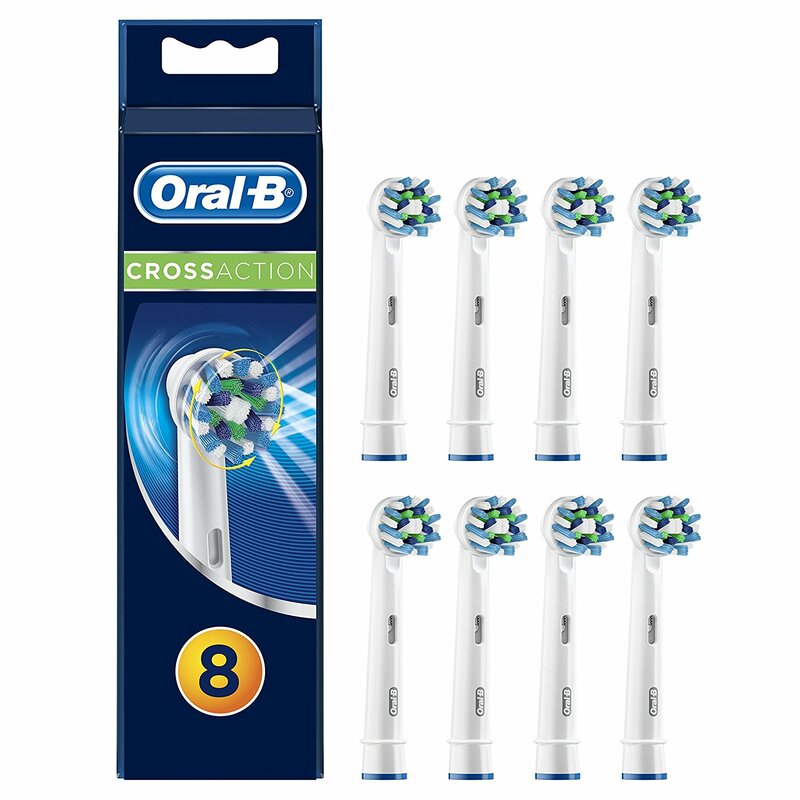 Answer: The CrossAction replacement toothbrush head works with Oral-B Triumph, Oral-B SmartSeries, Oral-B PRO, Oral-B Vitality (except for Vitality Sonic) and Oral-B Pro-Health Power. 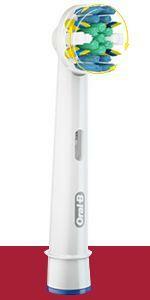 * Based on surveys of a representative worldwide sample of dentists carried out for P&G regularly.